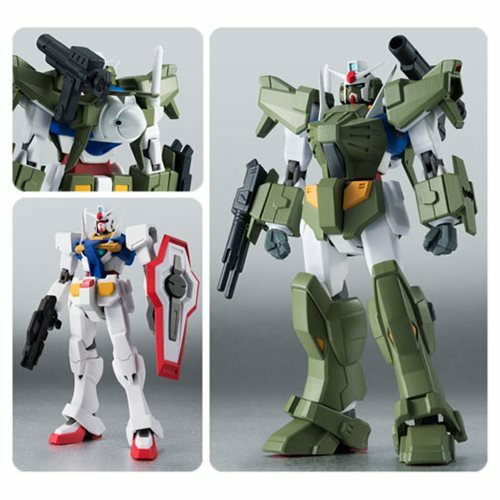 Commemorating the 10 year anniversary of Gundam 00 comes the Mobile Suit Gundam 00V Full Armor 0 Robot Spirits Action Figures! The approximately 4 1/2-inch tall plastic figure includes a shield, optional head, 2x pairs of optional hands, a shield attachment joint, a GN Drive, a GN Beam Rifle, a GN Beam Saber, and a set of full armor parts. Ages 15 and up.